Everyone deserves a bit of a pamper session! Even if it just takes a few minutes at home!! This is quick and easy, with ingredients you probably already have in your kitchen!! 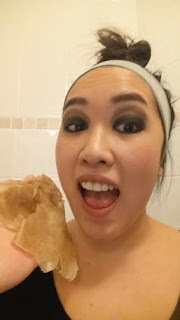 This took me a few weeks to post on my blog as I was hesitant to post these photos of myself, but then I thought, screw it! I’m a mum now, so hear me roar!! There are worse off photos of me on the internet from 10 years ago when I thought OTT fake tans were awesome!! Haha! Milk – is supposed to replenish and hydrate your skin. Gelatin – made of natural collagen and is supposed to bind the mixture together like a ‘peel’ and remove dirt and clogged pores, making skin soft and firm. 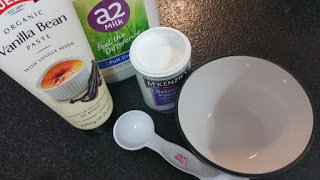 Vanilla – smells great with the mixture (like a vanilla cupcake!) 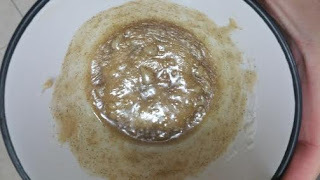 as the heated up milk + gelatin smells like baby vomit on your face! 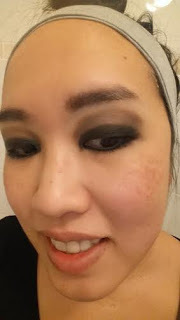 My skin feels really moisturised and soft after this, and I can see my pores look a lot smaller. 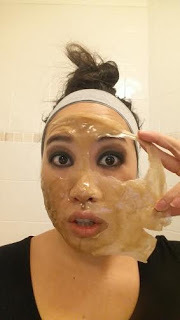 I have used this face peel a few times now, and I enjoy using it every time. It is so easy to make, and is really quick to set so it is nice and quick to do before bedtime and after all the evening chores have been done. This is for the ladies AND men out there! My husband uses this on his T-zone (nose and forehead) and loves it too!! 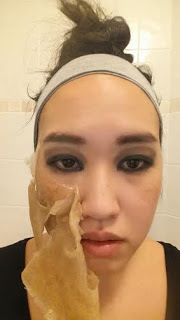 It has a sting when you peel it off (my skin is red for a few minutes after) but then again, most face peels I have used have had the same feeling – so if you have really sensitive skin this is probably not for you or start and just use it on your nose like a nose strip! But my biggest tip is to peel it off really slowly! …and microwave for 20 seconds on high. 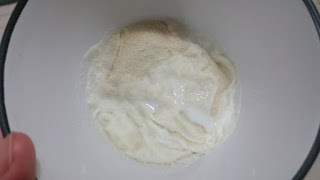 Stir mixture together and wait for 1 – 2 minutes for the mixture to slightly cool and thicken. 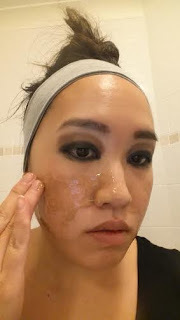 Spread face peel mixture on your face with your fingers, try to avoid your eyebrows/hair line (if you accidentally get it on your hair, you can just wash it off later). Relax and leave to dry and set (takes about 10 – 15 minutes). Once set, peel off slowly and carefully (it has a slight sting to it). Once the face peel is off, hop in the shower or wash off any excess face peel. 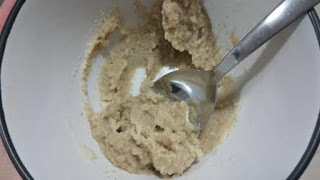 Add all ingredients into a small bowl, stir and microwave for 20 seconds on high. 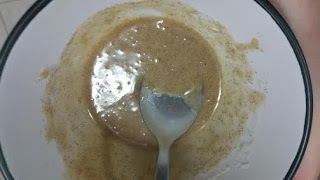 Stir mixture together and wait for 1 - 2 minutes for the mixture to slightly cool and thicken. Relax and leave to dry and set (takes about 10 - 15 minutes).